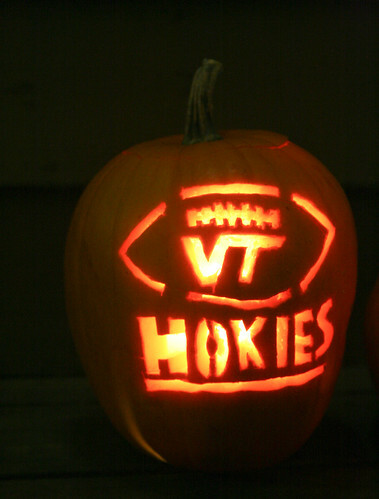 VT Hokies Haloween Pumpkin, originally uploaded by Sam E..
Go Hokies! I am in Blacksburg for the week and get to at least tailgate for the Maryland game on Thursday! Half way down the Grand Canyon on a REI Adventures Trip.